Join us for an evening of wine, appetizers and paintings by St John’s own, Kimberly Buolon. 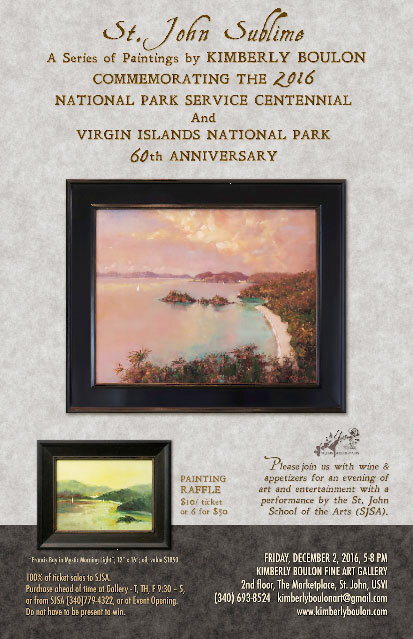 She’ll be presenting a series of paintings commemorating the 2016 National Park Service Centennial and the Virgin Islands National Park 60th Anniversary. Kimberly’s paintings explore the light, color and essence of some of St John’s most iconic locations. She manages to capture the wild beauty and striking character of the Island’s shoreline and skies!